The dollar is stronger this morning after the March PPI came in higher than forecasted. Oil prices have fallen nearly a cent from this time yesterday to $63.91. The timeline for Brexit has been lengthened to October 31 giving them the flexibility to get it right. They could leave sooner if parliament can agree on a deal. The dollar strengthening from yesterday has continued. Today’s PPI inflation data came in far higher than expected. The monthly for March rose to +0.6% from 0.1% and the y/y rose to 2.2% from 1.9%. Initial Weekly Jobless Claims and Continuous Claims both fell from last weeks revised numbers. Yesterday’s Fed minutes reiterated patience regarding future rate hikes. Yesterday, the EU leaders granted the UK a Brexit extension until Oct. 31 with the option to leave sooner if a deal is agreed upon. PM Theresa May has urged MP’s to “reflect” over the Easter break and return with a resolution to break the Brexit deadlock. This would avoid the UK from having to take part in the European elections that take place at the end of May which the UK is now increasingly likely required to take part in. 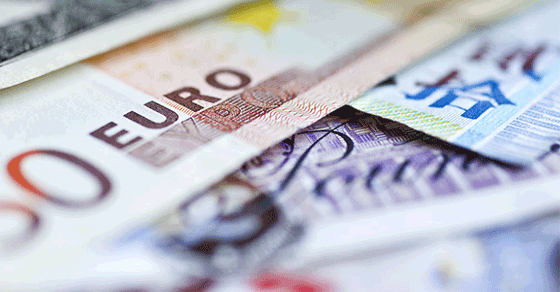 The European Central Bank left its monetary unchanged as expected. Mario Draghi said in his press conference that data confirmed “slowing growth momentum” due to Brexit and Trade protectionism. He also reaffirmed the ECB’s commitment to restore inflation from 1.5% (February) to just under 2%. The Canadian dollar fell amid oil sliding lower and rumors of Canadian bank shares being sold. Far East stocks fell led by Chinese shares. The yen weakened further and the Indian rupee strengthened as the Indian election began. US Treasury Secretary Munchin declared that the US-China trade agreement is pretty much agreed upon, but the timing remains unclear. The Australian dollar strengthening against the US dollar continued.